After my first ‘Exhibition Central’ a little more than a month ago, I thought it was time for a new one! You can read the previous one here. 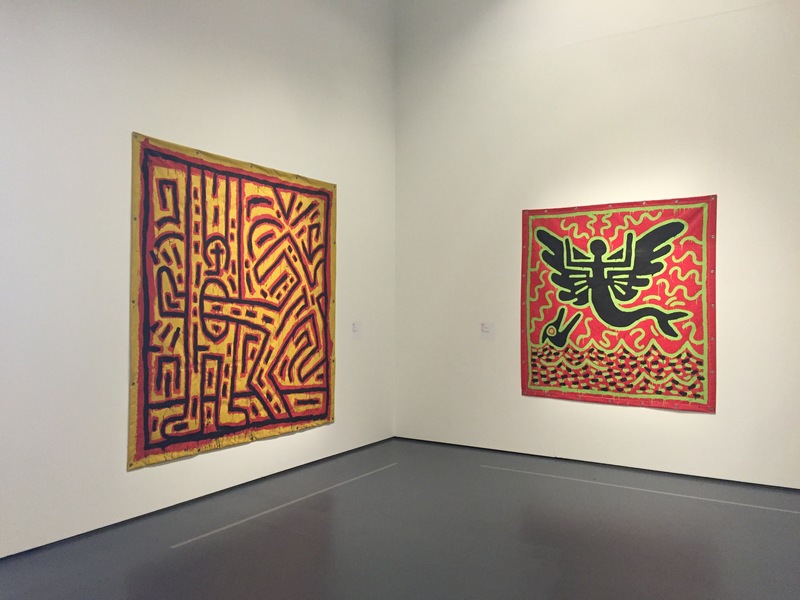 Last weekend I visited the Kunsthal in Rotterdam to see the Keith Haring exhibit. There were also some other exhibits which were fun to walk through. 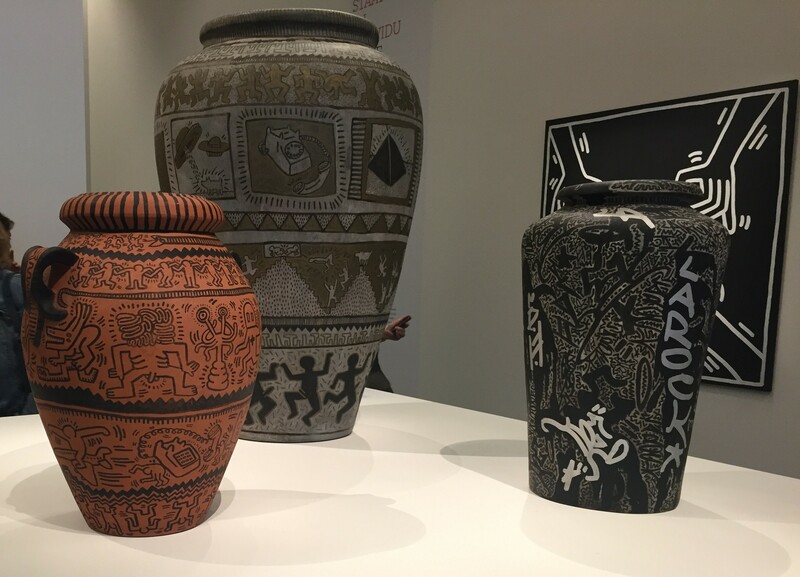 The Kunsthal brought together 120 works of Keith Haring from different international collections to form one exhibition that shows the social and political aspects of Harings life and work. The exhibit starts with a timeline. The timeline does not just show the events in Harings life, but also important events in politics or the world in general. (Very fun to see ‘activation of the internet’ in a timeline). 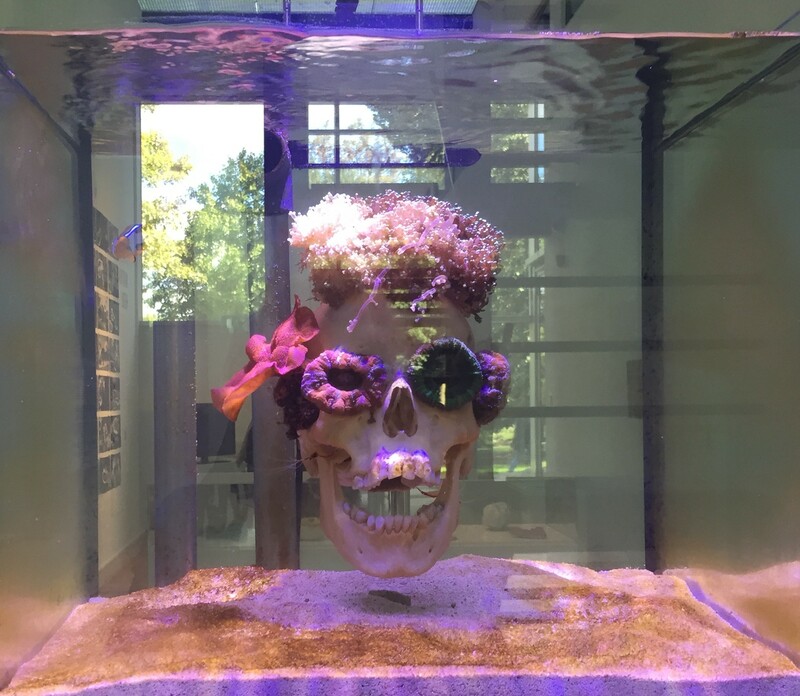 After the timeline the exhibition guides you through different themes in his works, like politics, racism, anti-capitalism and social injustice. I could not really understand all the works. 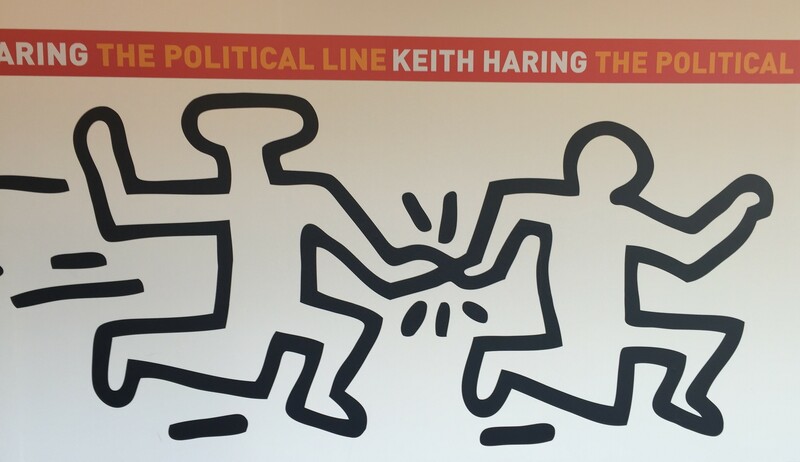 But one of the guiding texts said that Keith Haring never titled his works to prevent influencing the interpretation. So what I interpreted when I saw the works was that you could feel the anger and injustice that the creator felt when making them. I thought this was what made the works really interesting. 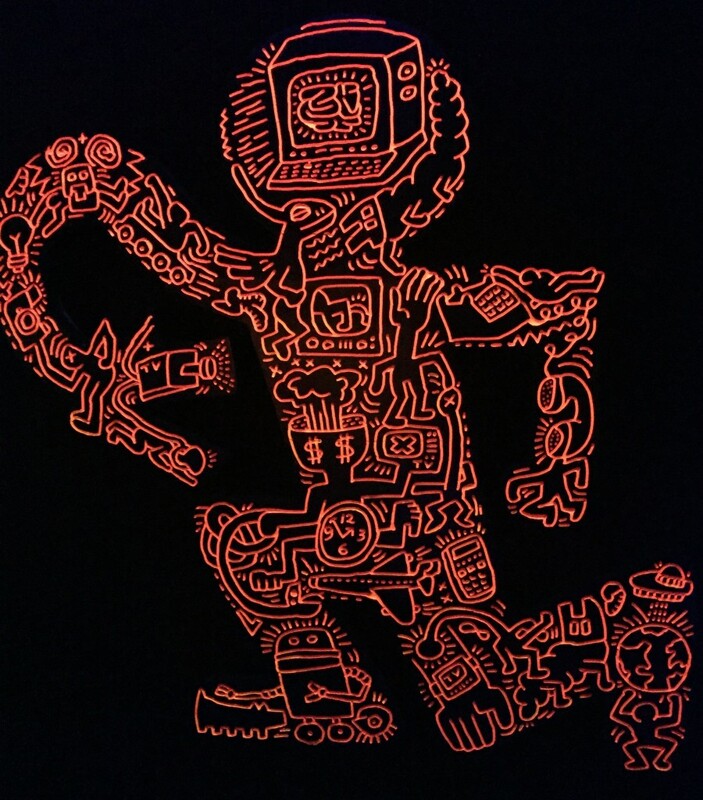 Some of his work glows in the dark, and for this the Kunsthal had made a small dark room with UV-lights. It was really cool to see the work light up, leaving just the lines and leaving the ‘back’ material behind. I think the Kunsthal did a really good job at creating this exhibition, the selection of works and the way the exhibit was set-up was really well done. I also visited two other exhibitions. A combination of nature and art. 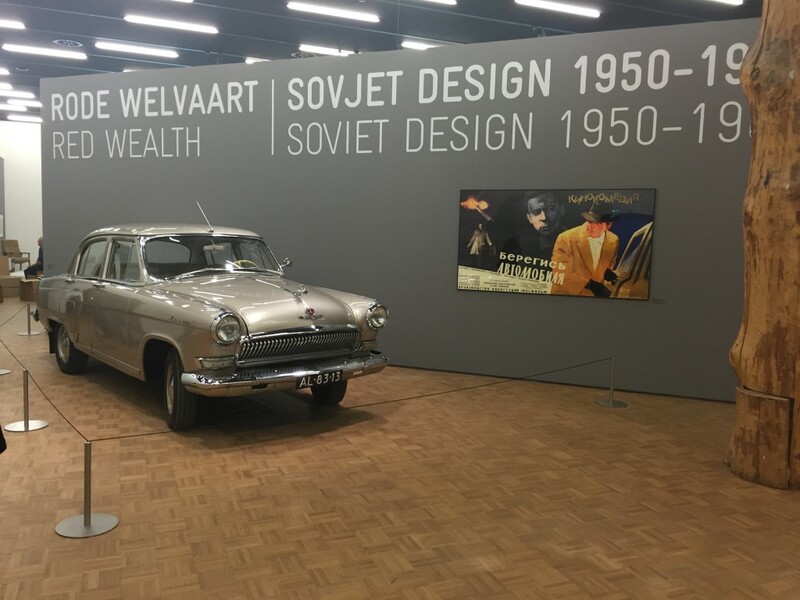 An exhibition about (you guessed it) Soviet design between the 50’s and the 80’s. It shows a lot of products, toys and poster/logo designs. This exhibition is interesting to see how sometimes their design mimics the ‘Western’ design, or completely chooses another direction. The Kunsthal is located in the ‘Museumpark’ on Westzeedijk 341 in Rotterdam. It is open Tuesday-Saturday from 10.00-17.00 and on Sunday from 11.00-17.00. 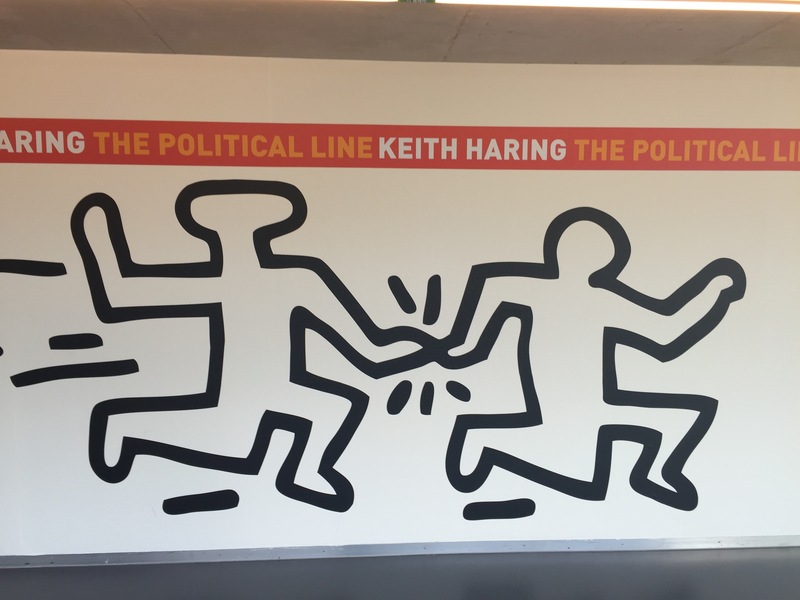 If you are interested in some extra activities for the Keith Haring exhibition, there is a special ‘Keith Haring Weekend’ on Saturday 10 and Sunday 11 October. With workshops, lectures, tours, music and dance. For more information, check the website.